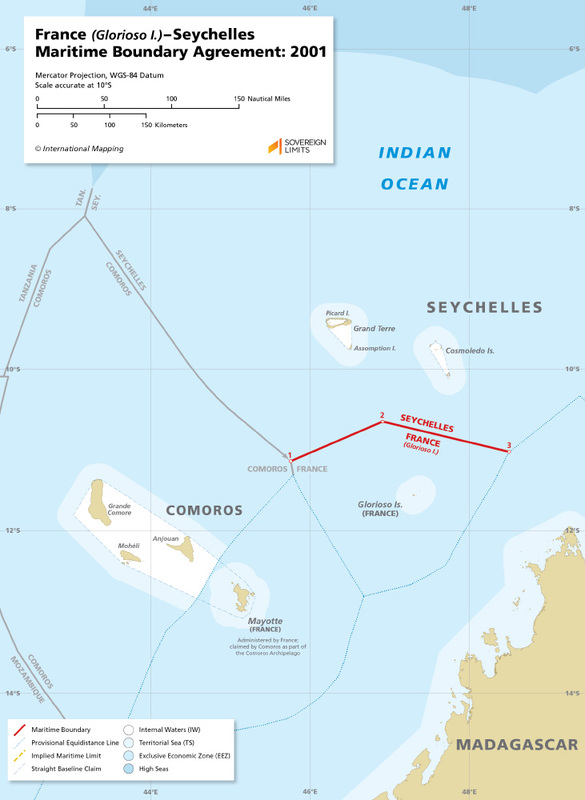 The maritime boundary between the Glorioso Islands, which are a part of the French Îles Éparses, and Seychelles extends for 169 nautical miles and was defined in a 2001 agreement. The boundary, which delimits the exclusive economic zones and continental shelves between the two States, follows a series of geodesic arcs connecting three points that were established based on the principle of equidistance. While occupied by France, the Glorioso Islands are claimed by Madagascar.